What Is Happening at Cavan&#39;s Burren? 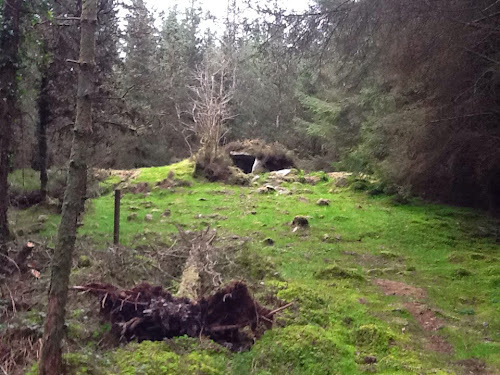 What Is Happening at Cavan's Burren? After a Bards In The Woods meet up in Glenfarne, I decided to have a peek into Cavan Burren on the way home. 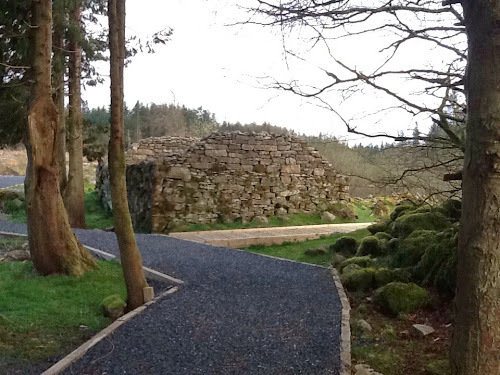 Work is currently happening at Cavan Burren, said to be costing in the region of € 900,000. This is to pay for the construction of an unmanned interpretative centre, toilet block, picnic area, bus car park, access road and upgraded walkways to cater for people with limited mobility. Cavan Burren, you may ask? A few km from Blacklion village on the Republic-Northern Ireland border, Cavan Burren is a 124 hectare forest site planted with conifers by Coillte back in the early 1950's, but it has a magical secret until recently. Within this forested land is a complex of varied ancient megalithic sites that local researcher, historian and now Geopark Guide, Jim Nolan refers to as the finest relict landscape in Ireland. 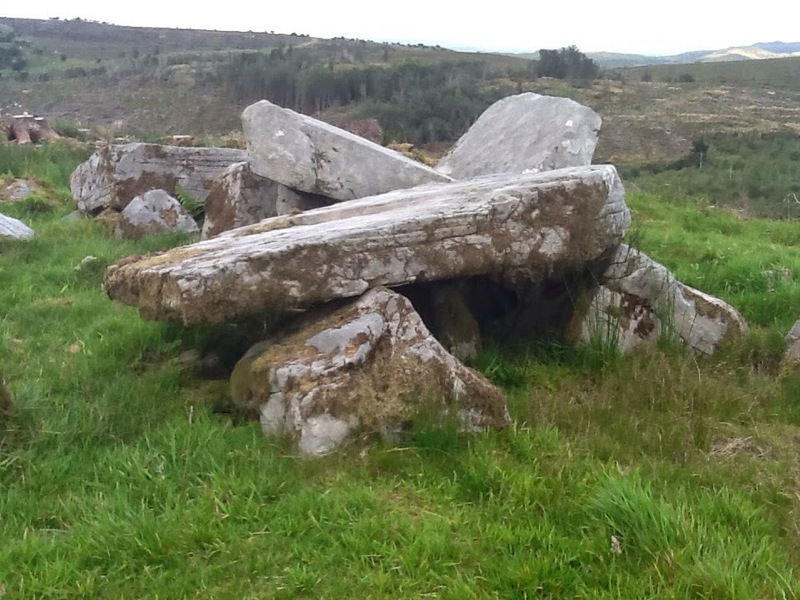 Jim says that Cavan Burren probably has the highest concentration of archaeological features in a small area anywhere in Ireland. The information Jim has collated has been built on by researchers from various Universities in the Ireland, UK and even USA. 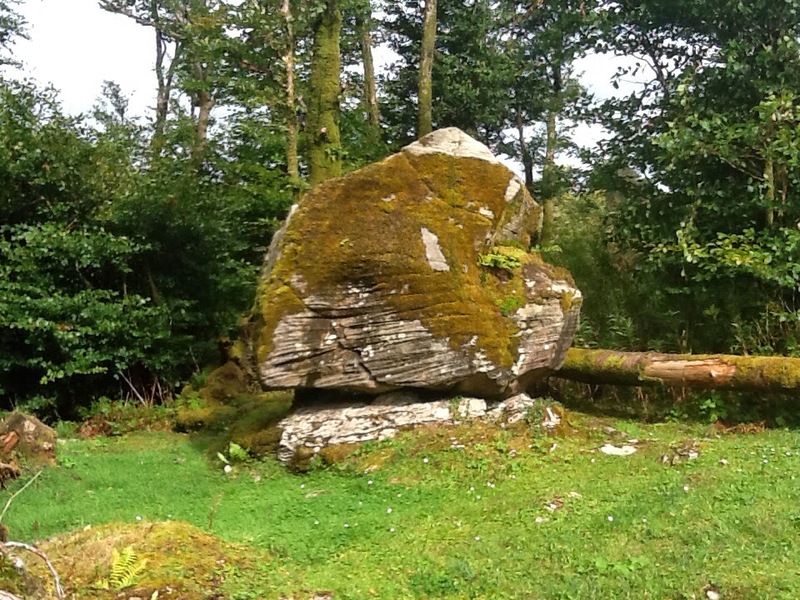 This has raised the stature and attention towards the Cavan Burren. In the mid-1980's the Cavan Way was created, a marked hiking way linking Blacklion and the Ulster Way with the Village of Dowra and the Leitrim Way visiting interesting local sites. 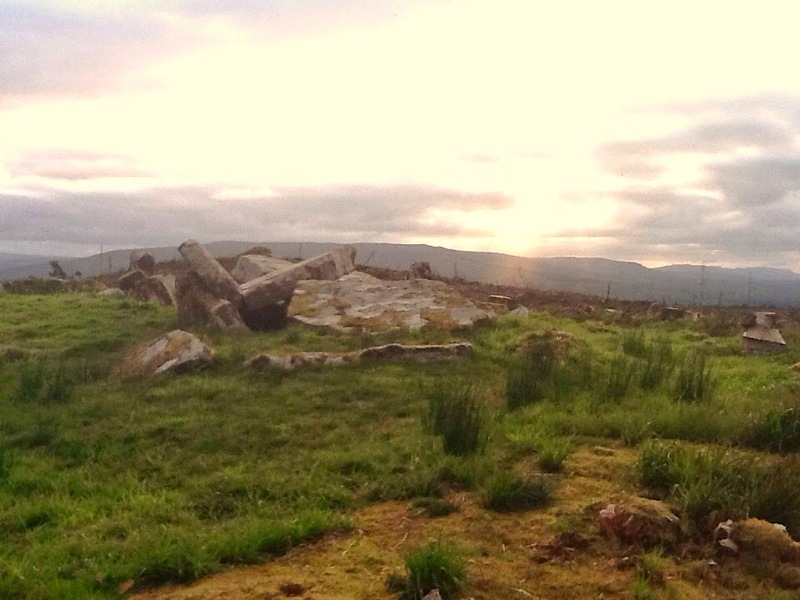 The Cavan Way passed through the Cavan Burren. 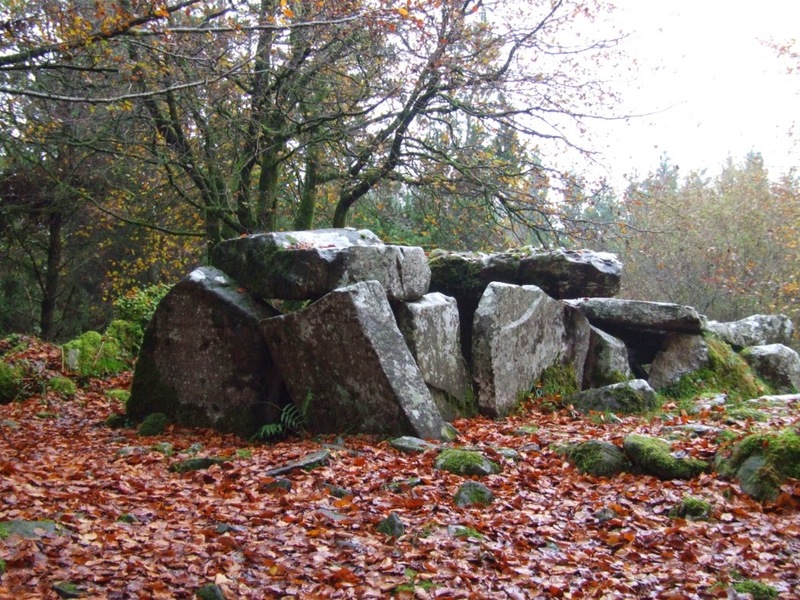 When I first visited here in the 1980s, it was to explore some of the Cavan Way and see some of the ancient sites on and near the walk. 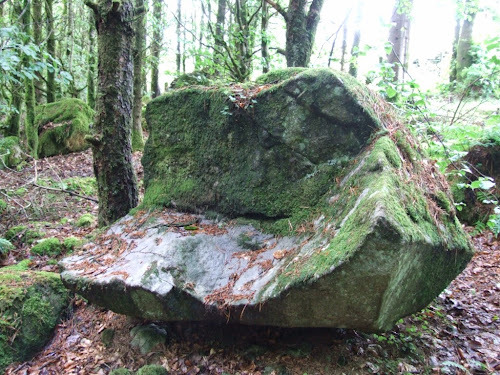 The only aids for finding these megalithic sites then, aside from the OS Maps, were paper notices pinned on trees or brush penned on bits of wood. The pathways were fairly non existent. Really, nobody visited here then. Home internet was mainly game based and not where people shared interests. and pathways seem to be happening, I think these were naturally created by an increased frequency of people walking the same routes. 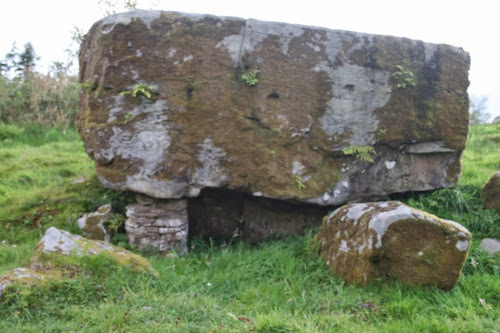 After 2005 there was definitely growing interest as more and more megalithic spotters were arriving after reading about Cavan Burren on various web sites and discussing them on social media. 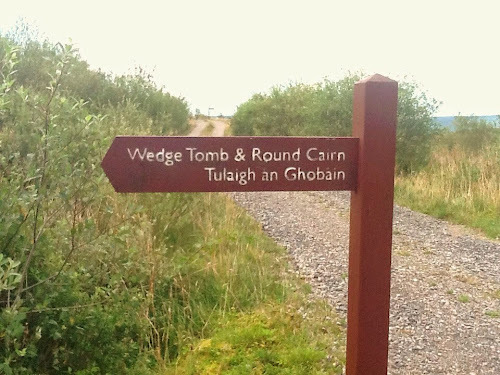 At this time cross border funding paid for improved wooden signage, there was pathways clearing, walking routes were developed with coloured arrow signs marking the routes, and these routes were published on a map available from a visitor's centre and gift shop in Blacklion. 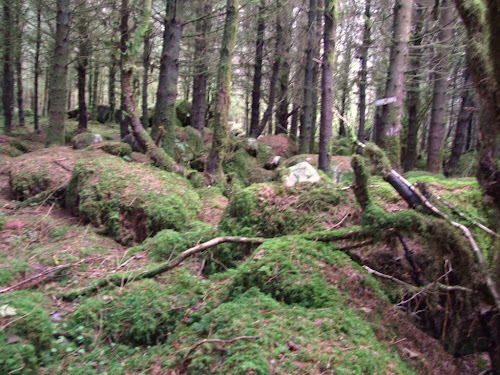 From about 2008 clear felling started to happen by Coillte on this Cavan Burren site. This began to expose some of the megalithic sites, and this excited the visiting alignment and leyline diviners who could now speculate on the sites connection to landscape. 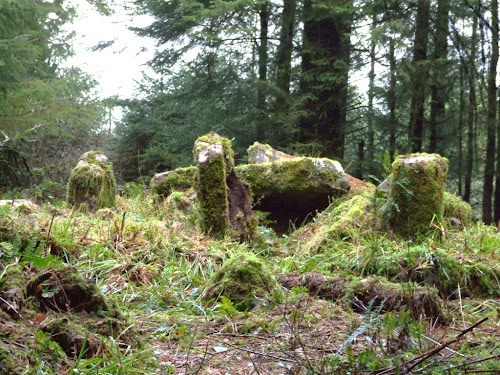 By 2010, the Cavan Burren site became restricted. 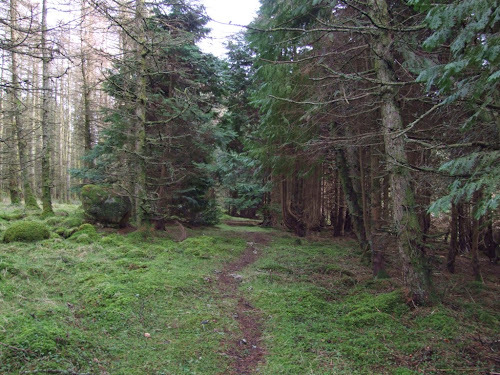 We were no longer able to drive the forest road through to the centre of the forest to obtain close access to the main sites. 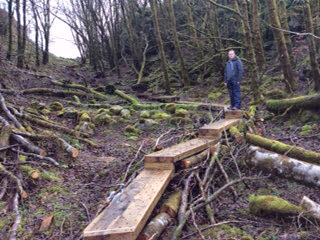 I believe this was due to health and safety concerns from the very active clear felling now happening. To compensate, Coillte did greatly improve the access road, information signage, added a small car park at the edge of the forest, but this car park was too small, and they added a picnic table area. To get to the main sites was now a fairly good walk. Visitor definitely needed to plan to spend the best part of a day to truly visit here now. 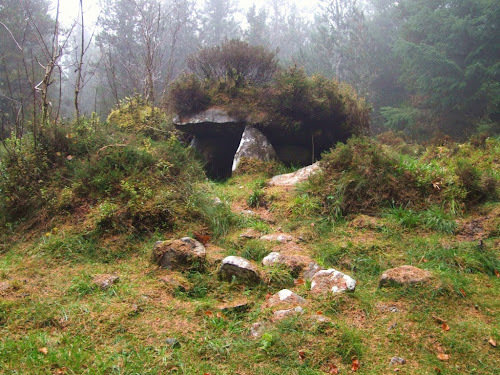 During the time from 2010 until 2013 as the popularity of Cavan Burren and its ancient sites continued to grow it became integrated into the local UNESCO Global Geopark. 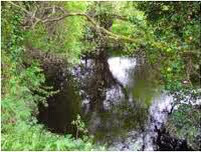 This means that the Cavan Burren, and the nearby Shannon Pot site, also in Co. Cavan, became linked to the Marble Arch Caves. 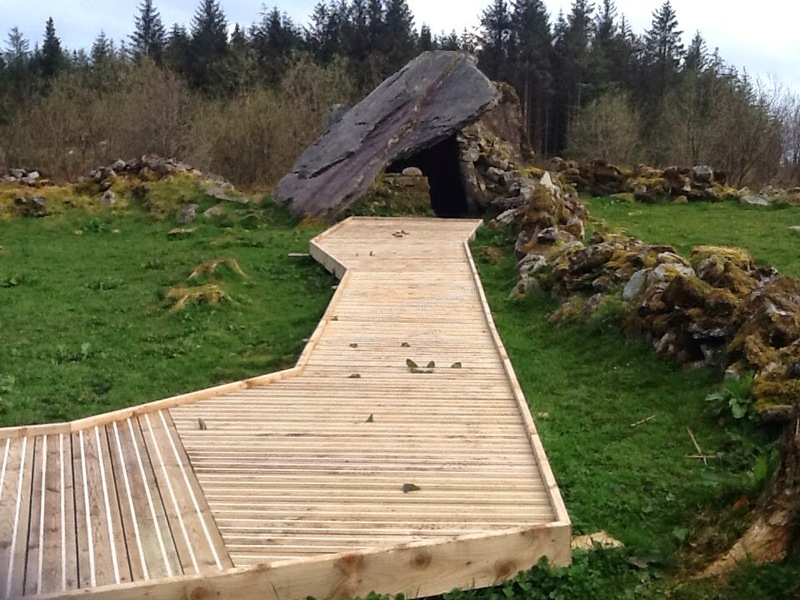 This truly converted this Geopark site into a very cross border initiative. A Global Geopark is a site recognised by UNESCO (the United Nations Educational, Scientific and Cultural Organisation) to have an exceptional geological heritage from prehistoric times along with national monuments survived from ancient habitation . There is now a new arrangement between Cavan County Council and Coillte, the State Forestry Company, for a joint management of the Cavan Burren site. 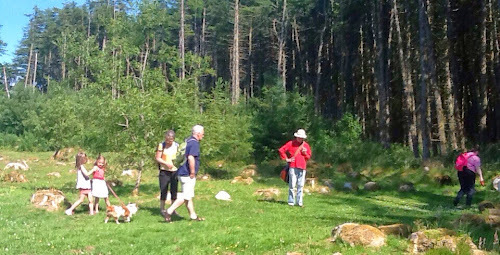 Most of this 124 hectares site will be exclusively a leisure, recreation and tourism interest site.All tree replanting will now be of native broadleaved tree species. Within the Cavan Burren the most dramatic ancient sites are the Giant’s Grave wedge cairn, the nearby Giant’s Leap, the Calf House dolmen, another wedge cairn complex to the west, various ancient hut sites, boulder burials, and perhaps the most popular is a quaint small cairn dolmen surrounded by heather and bilberries. 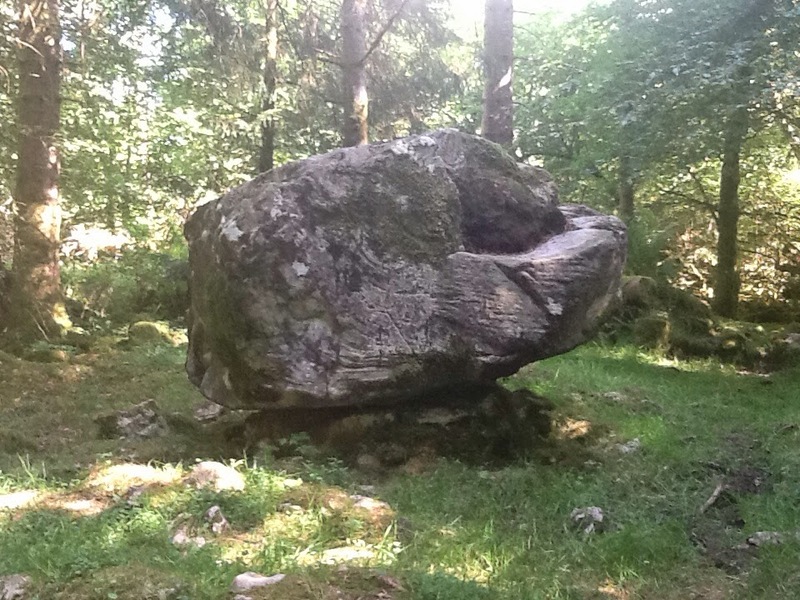 Some people stay here longer to explore the Druid's Chair, ancient art stones, ancient wells and dramatic ice age erratics formations. 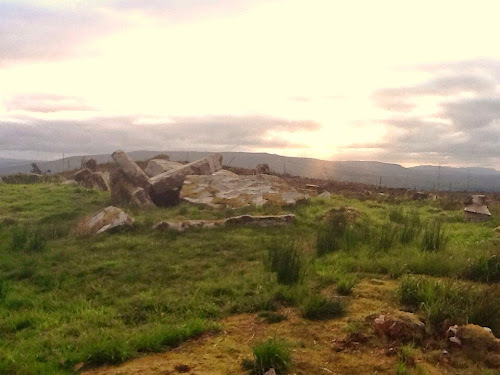 Due to quite a climb on the barrow road from Blacklion to Cavan Burren there are excellent views over Lough MacNean, the slopes of Cuilcagh, Slieve an Iarainn and views heading off into the Manorhamilton and Sligo direction from here. This all adds to the wonder of the site. Today, the current € 900,000 investment in amenity construction at Cavan Burren is creating the provision of more accessible walks, car and bus parking, toilet block or blocks and an unmanned visitor's centre. 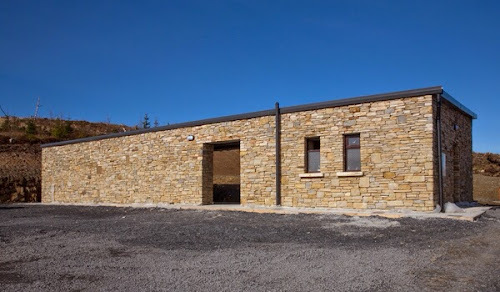 I understand some of the Cavan Burren investment is to be used to create a major extension of the Market House Tourist Office and Gift Shop in Blacklion Village. I hope this project brings new life to Blacklion village as I was disturbed to see much of Blacklion is now out of business, such as the excellent petrol station, food market, deli and cafe, and most of its local shops now all closed down. 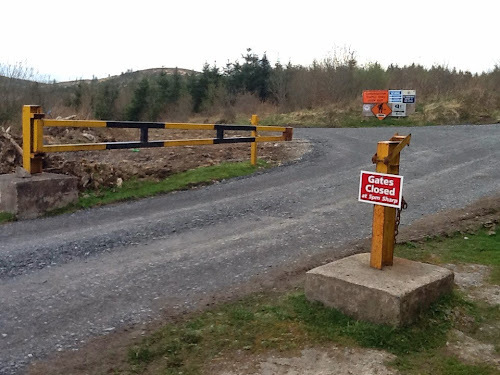 As I went to visit Cavan Burren, last Sunday, it was after 7 pm, and this notice was on the open gate !!! 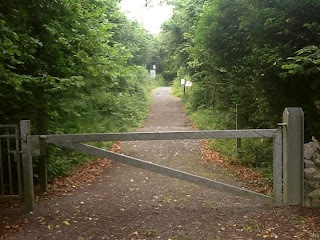 "Gates Closed at 5 pm" !!! Would I be locked in ??? 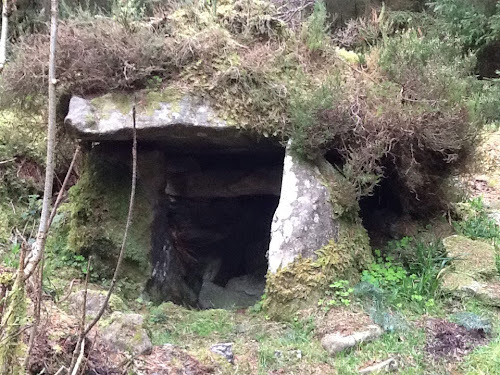 So my visit here at Cavan Burren this time was quite fast really. I will introduce you to the most popular ancient sites around the Cavan Burren and how the new amenities seem to be connecting to them. There is a connecting pathway happening to connect major pathways. I looked for the mentioned car park and bus park but did not see these yet. 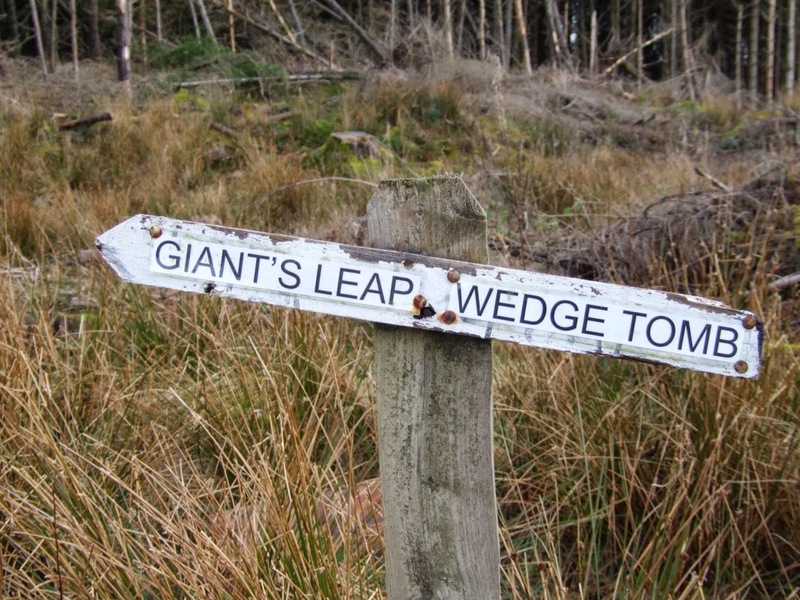 I am not sure if it will be in this path junction area. Now there is a wide wooden path that can easily take wheelchairs and strollers and prevent muddy shoes for those who do not visit wearing hiking boots. For many people this is the most dramatic site on Cavan Burren. It was always incredible after the autumn leaves of the beech trees fell. Also dramatic when the trees were in full leaf. Then the trees were cleared and the site became exposed to the landscape. And another pic to give sense of size. This is now the new path created to climb to the Giant's Grave. Before this the path was over slippery stone and often muddy. I did not follow this though to the site though. I gather that there is now an easy access path to the Giant's Leap which was a very awkward place to go to previously. 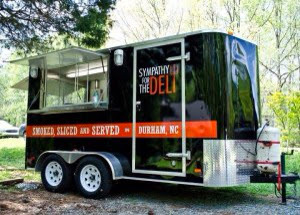 Many more people can now experience and enjoy this site in comfort. 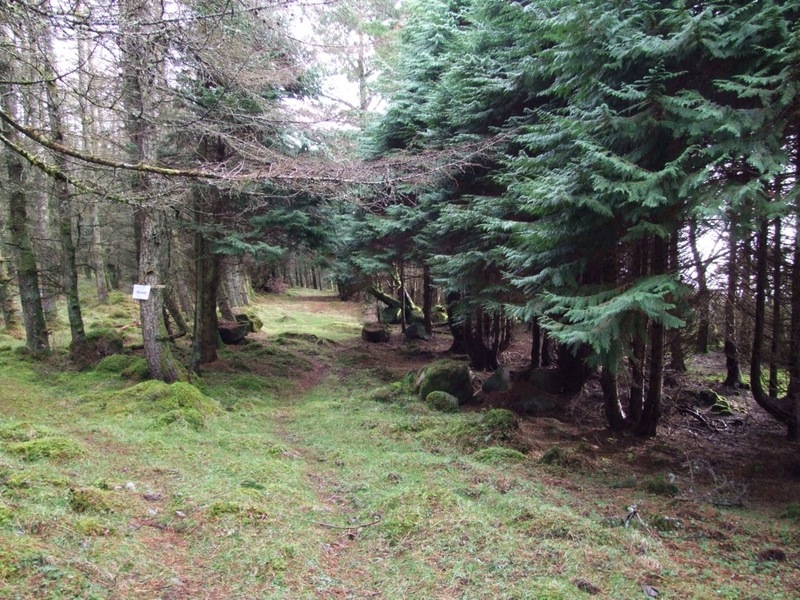 It does seem like the paths to these sites are staying as they are for now, natural forest tracks, as these are not sites generally visited by casual visitors, but they are worth visiting if you can. 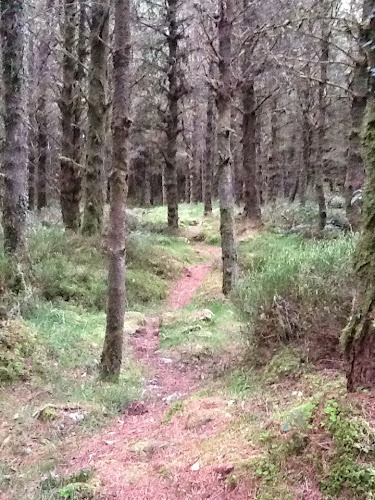 I did not explore the new path raising to this, but this is the start of it .. 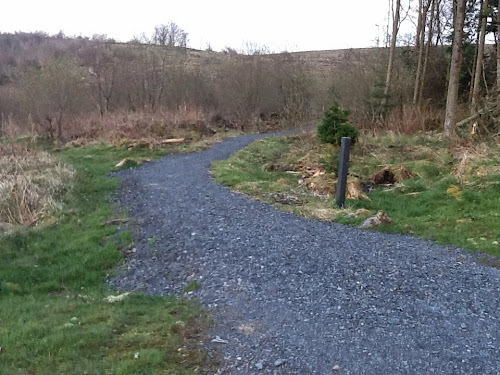 This new path also seems to go to the new unmanned visitor's centre that I believe has toilets, though at the forest entrance it looked like plumbing for toilets too. Visitor's centre looking strange at present. 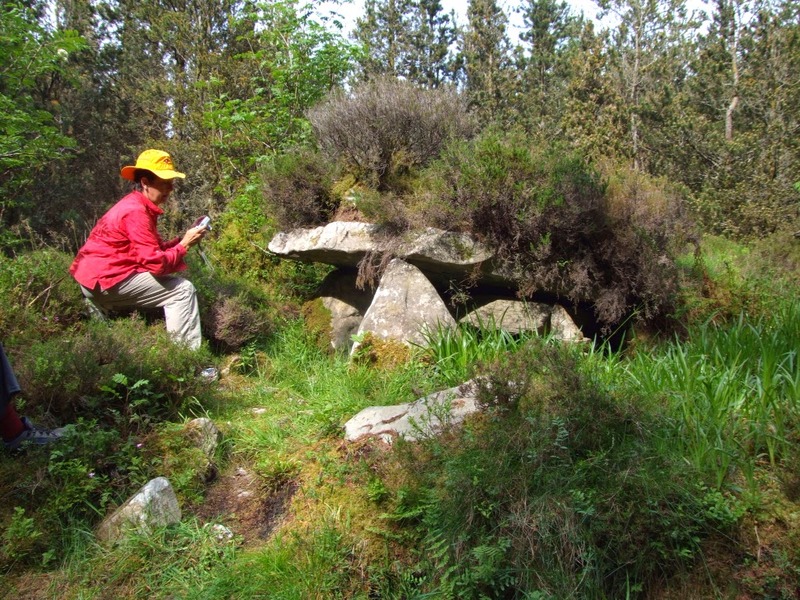 Near to this main complex of Calf House dolmen, and the two wedge cairns is an excellent example of a Boulder Burial site which may be 1000 to 2000 years younger than the other ancient sites here. I do not see a path made to this yet, but I am sure there will be. 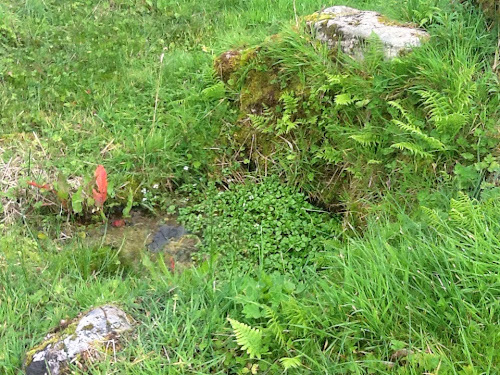 Near this is a spring well, been here since ancient times, and sure to have reverance. 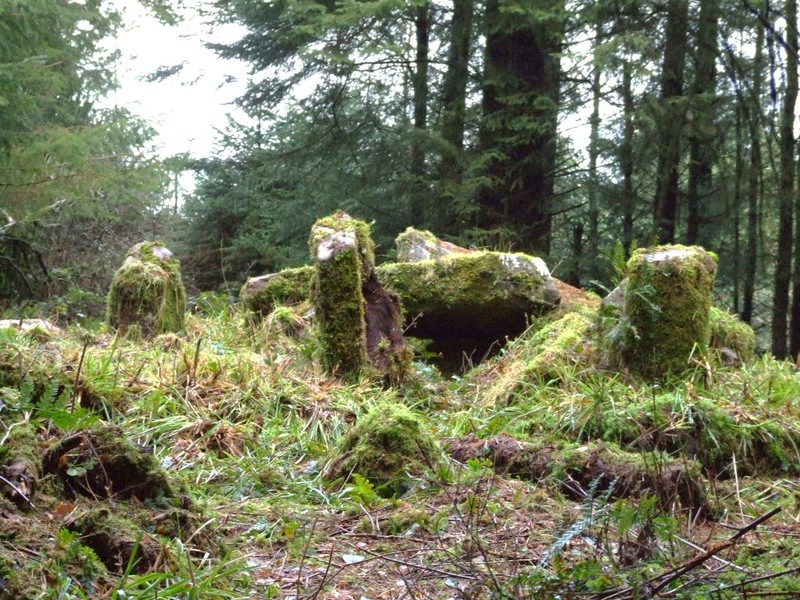 Through the forest from the Druid's Chair, Rocking Stone, or on paths from the main forest track there are several hut sites with the kerb stone circle remains of ancient dwellings, an ancient village. By these are also more dolmens and ancient rock art. This area is not felled yet. 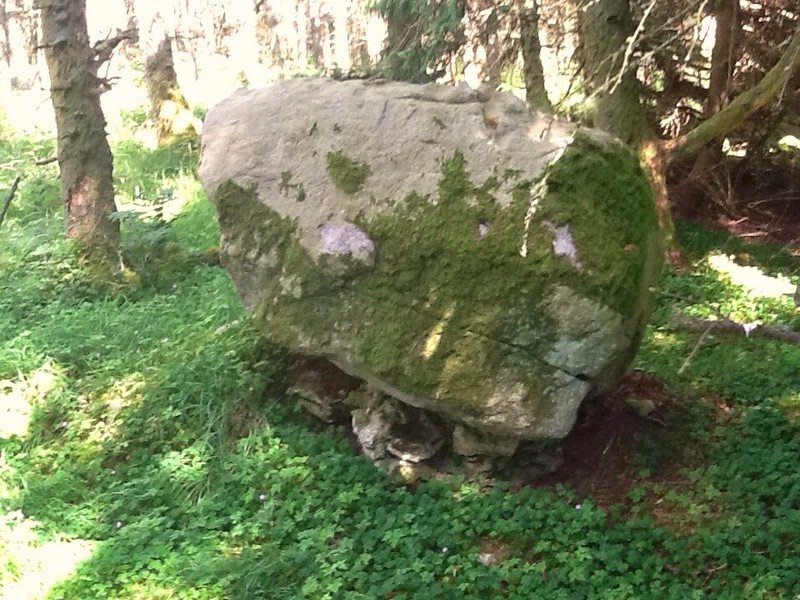 In this area are several fascinating Glacier Erratics, that are dotted everywhere around this forest site. 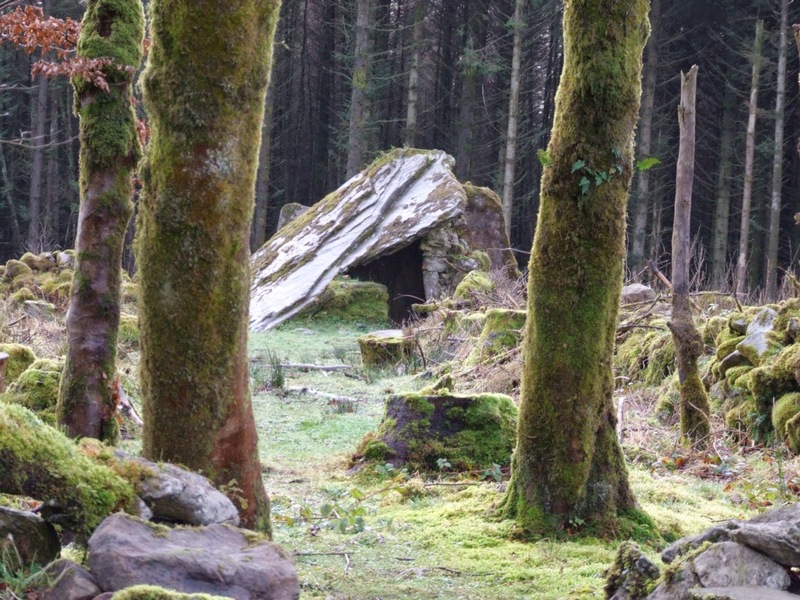 Still a very peaceful place to visit though. 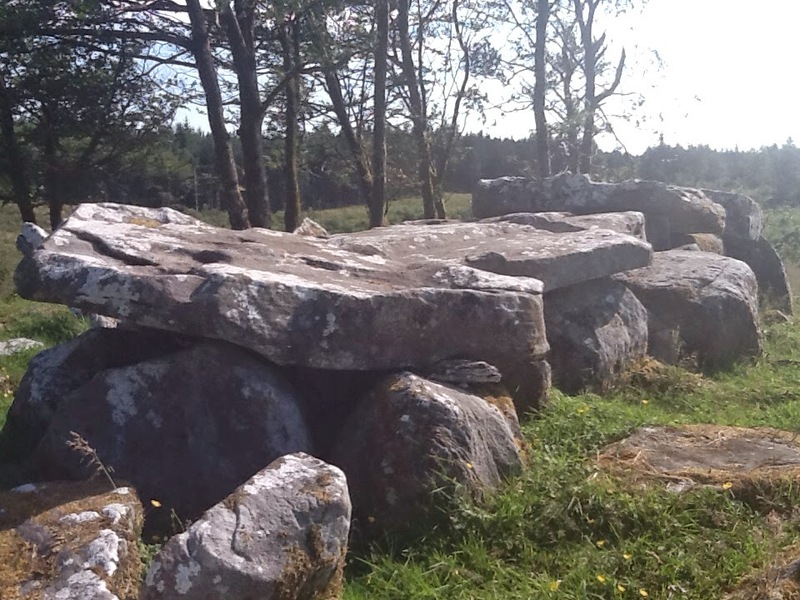 This Cavan Burren site is also going to be a hub for extra routes moving into the wider landscape beyond the forest to take in the Sweathouse and Cashel in Moneygashel and Garvagh Lough. The Cavan Way is temporarily closed, a walking access to Shannon Pot and more ancient sites, but will indeed re-open to be part of all of this amenity. 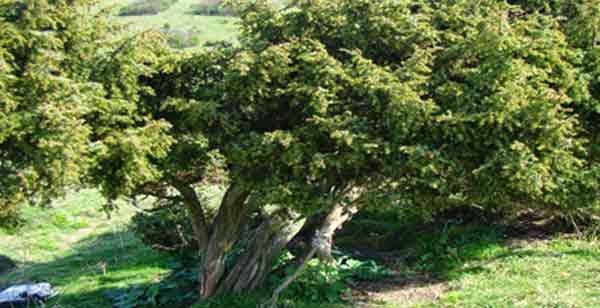 Local guide Bee Smith has told me that Juniper trees have been planted, through instruction by the Geopark. 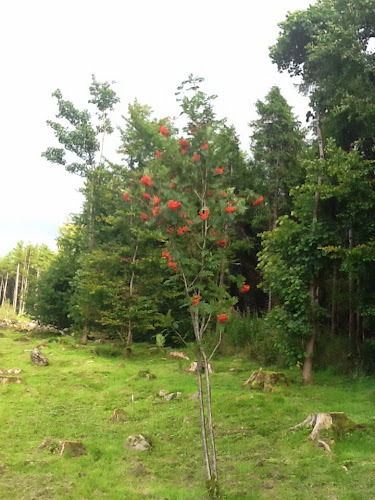 Archeaological excavation has revealed that the first trees that grew on this site were Juniper, so this small new plantation is to honour that. As far as I know the amenities are going to remain free with the hope that visitors will freewill spend in the local community. Obviously the gift shop at The Market House Tourist Office will earn some, and local guides will charge for their services and merchandise. 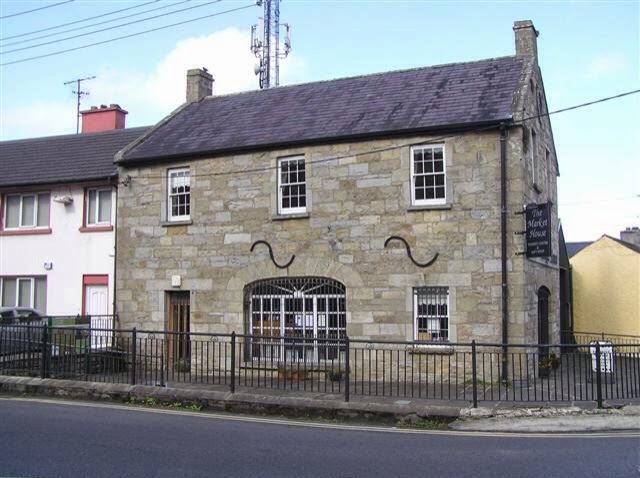 I hope that somehow this will revive re-opening of closed premises in Blacklion. 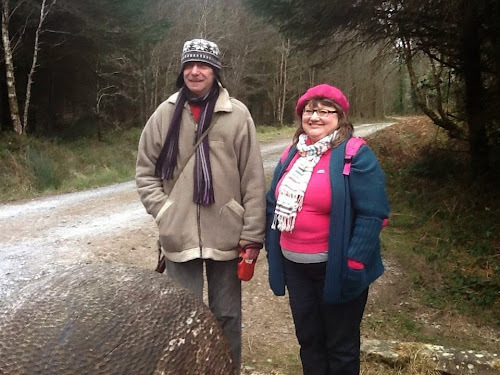 Most important would be to return places where people can purchase food either to sit down and eat or obtain picnic supplies to take to Cavan Burren with them. 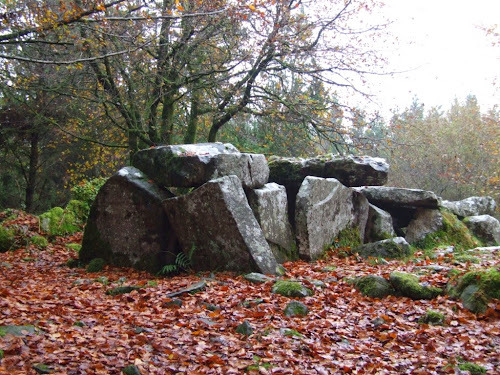 Maybe visitor traffic at Cavan Burren will allow a mobile deli or two there. 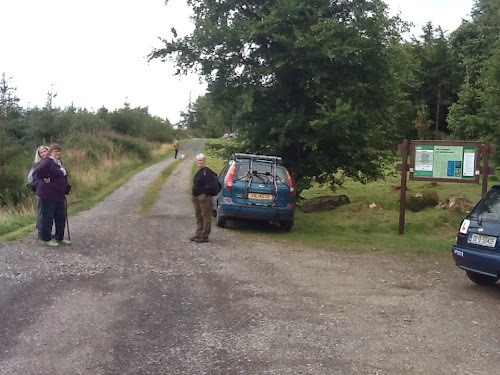 Most visitors will arrive in cars and minibuses so a local fueling place will be essential too, but I also hope there will be more emphasis on hiking and cycling here to reduce fueled transport needs. Camping here, eventually, would be good too. 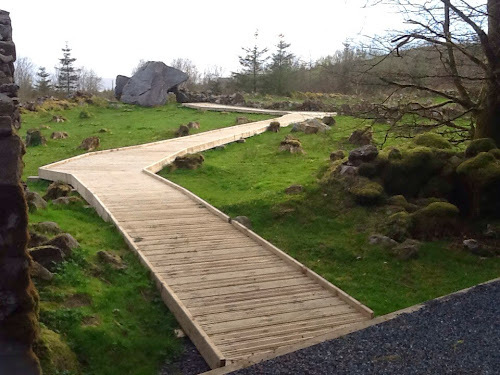 There is a also one day festival on June 21st to launch all of these new Cavan Burren upgrades. Unfortunately I will not be there due to another commitment. Jim Nolan, who I mentioned at the start of this feature, will be there too, I'm sure. 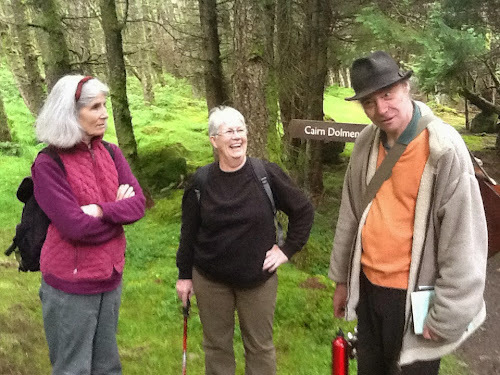 I am not a Cavan Burren guide myself as I live too far away. 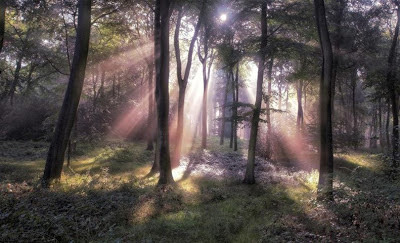 This area needs guides who are people who live nearby and live and breathe this forest frequently, daily if possible. 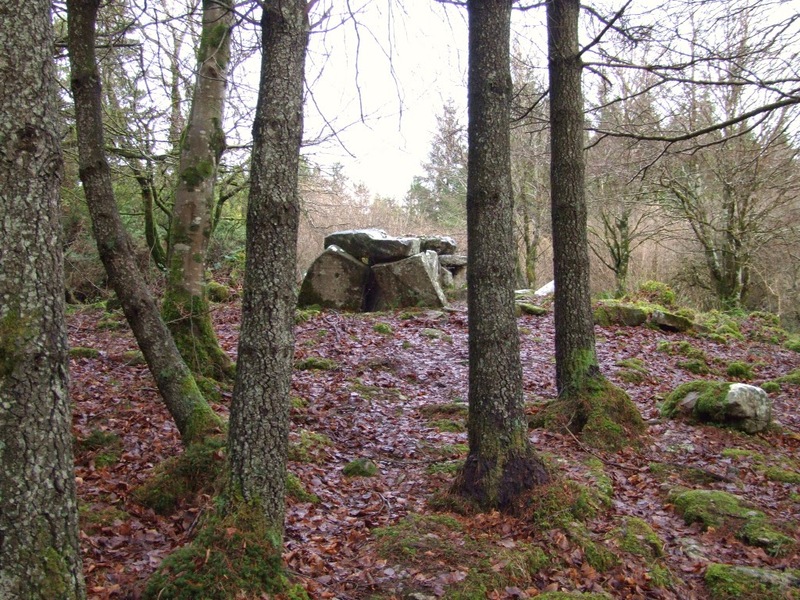 We are hosting a Bards In The Woods at Cavan Burren on 25th May 2014, so please join us and explore this very interesting and fascinating Cavan Burren Forest, Geopark and Megalithic Park too. 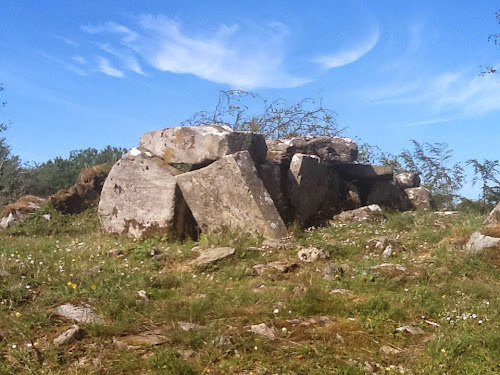 I find this Cavan Burren site is wonderful as it engages visitors and will engage visitors in all kinds of ancient megalithic structures that are not seen together so close anywhere in Ireland. Also the Cavan Burren will be an ongoing return to native forest woodland where visitors can learn about the trees, flora and fauna native to Ireland. 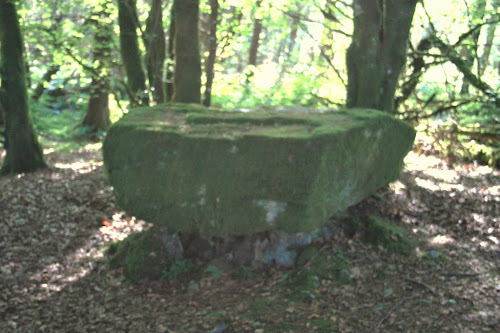 Of course Cavan Burren is also a place for inspiration and entertainment such as our Bards In The Woods. 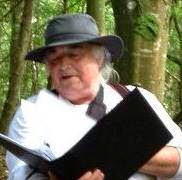 So do click here to join us for Bards In The Woods at Cavan Burren on 25th May 2014. Clicked through to this post accidentally and I'm so glad I did. 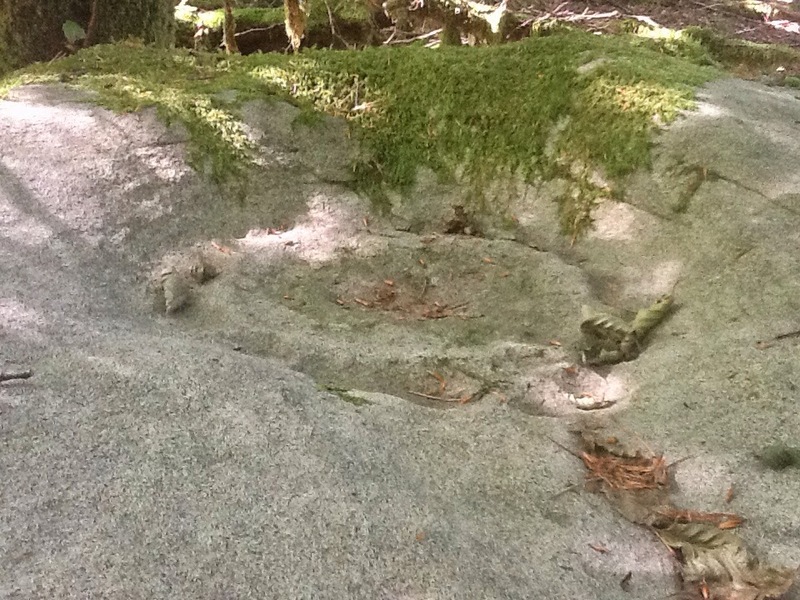 It is a great article, so informative and interesting, I really love all the pictures and detailed information about the changes that are happening.,,the before and after shot were so interesting, I have to admit that I find the "before" shots much more esthetically pleasing, the sites are more visually appealing in their natural state. 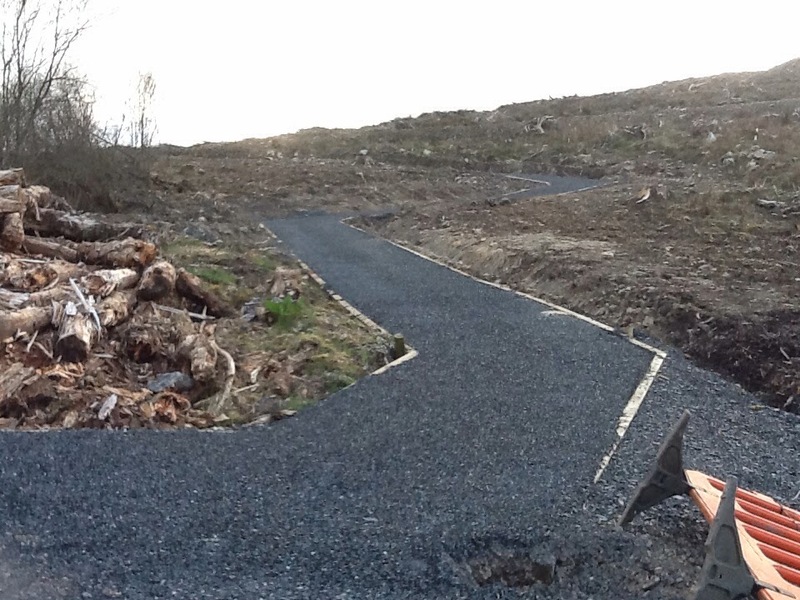 I am sure more people will now be able to visit the sites, which is of course a good thing despite the rather jarring effect of thee denuded site with the artificial looking gravel trail. Maybe that's just me. I cannot wait to visit the Cavan Burren, thanks so much for the article. Thank you for your response Melissa. 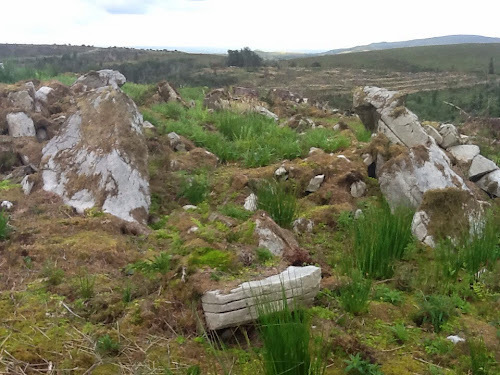 As photos, the new changes as Cavan Burren can seem a bit ugly, but when you are actually there its a lot better than I imagined it would be. 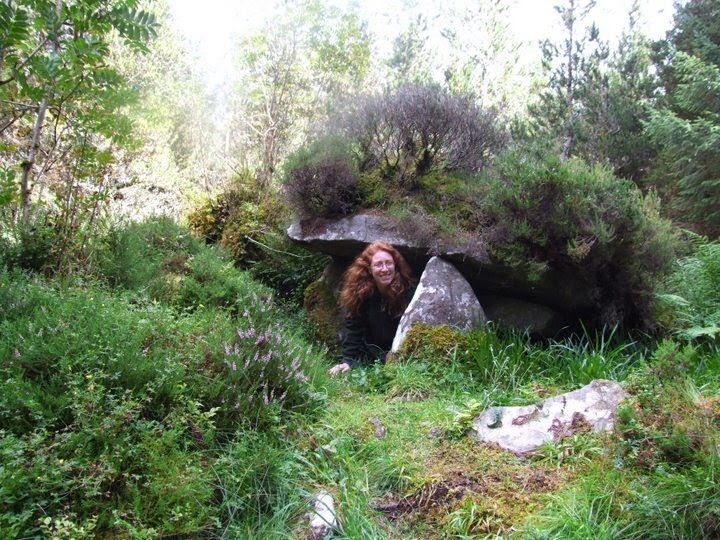 The amazing thing is the easy access to sites that were sometimes difficult to get to, even for the fittest of us after some soggy days. The vast tree clear felling does seem a bit disturbing, though some people like to see the trees gone to get the views. I gather than the entire site is going to be replenished with native trees planted in a near natural way rather than rows. Previously this was rows of sitka spruce and douglas fir. 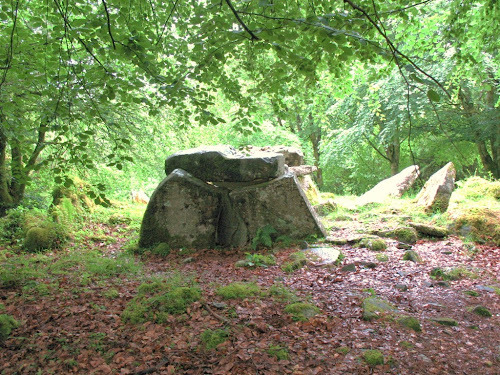 I miss the tree cover at the Giant's Grave.